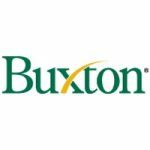 Since 1994, Buxton has been the leading provider of customer analytics to over 3,000 retailers, local governments, healthcare organizations, and other firms. Retailers such as Lowe’s, Applebee’s, Marriott, GNC and Anthropologie have all relied on Buxton to guide their real estate and marketing strategies. Our public sector clients harness these same advanced analytics in order to implement targeted retail recruitment and business retention programs. Buxton has helped over 650 communities locate or expand 35 million square feet of retail space. Our analytics have also aided funding decisions for libraries and other public services, as well as targeted tourism campaigns.